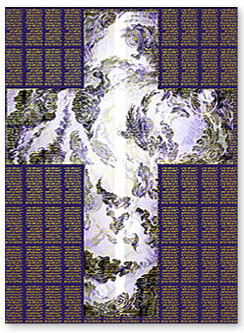 Genesis, Color Study Three, from Sketch Five; Movement - 2000, digital color study. In all things, the Light of the Lord shines - an undeniable majesty to which His praises are sung - all creation testifies of Him. In Him all things unfold to His Will, to which we all are witness whether we see or not.